Hi loves! Yay, weekend! Any plans? We are planning on a little trip to Haarlem, a nice city and visit a museum while we are there. Tonight a few collegaes are coming over to watch horror movies (my boyfriend - we work at the same company - organized it) and I am not sure if I can join or am too chickened out after the first 20 minutes ;-). So, remember P2 Perfectly Good? I used it as a base for some nailart.. a saran wrap to be precise! I used a england Dragon for it (on sale right now, check out the website for more details) and it looked so pretty! 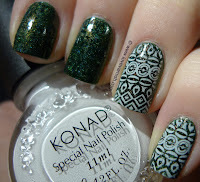 I also stamped my ringfinger and pinky using a Bundle Monster plate and Konad Special polish in white. 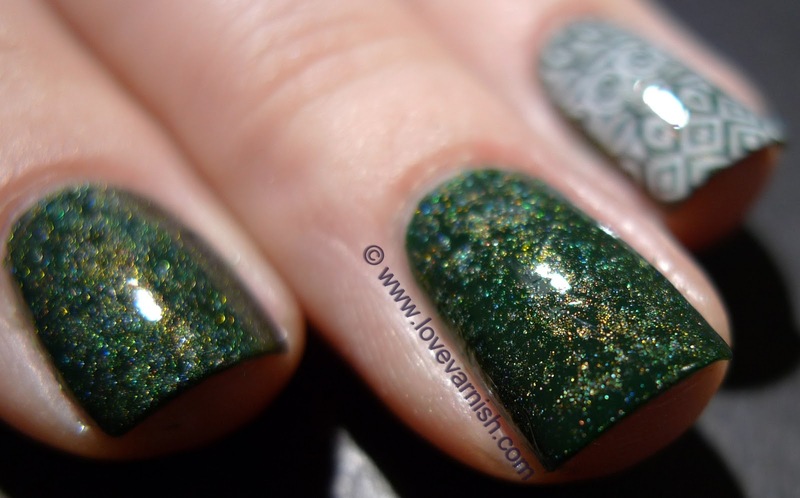 The combo of the holo and the dark green base was so yummy to look at! Do you like the combo? Wow, this turned out great! I love it! 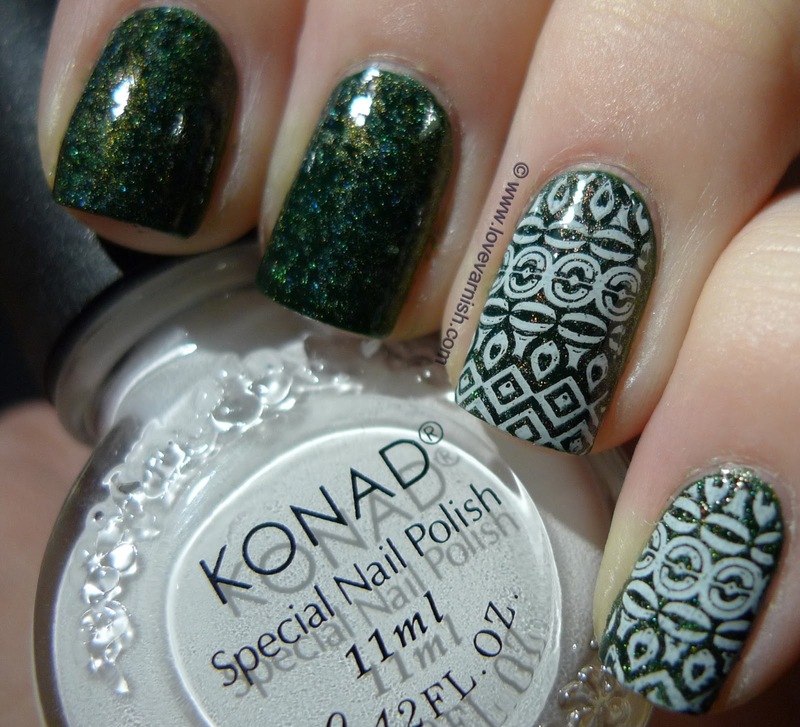 Such a pretty manicure !Like it ! This is so gorgeous!! I love the combination and the saran wrap technique makes it look amazing! Thanks Jamie, I loved it too :). Thanks allesandra, I did too :). Thank you! It really makes the holographic sparkle in Dragon pop!